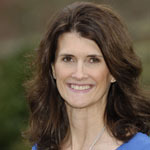 Bitten by Romance - Book reviews and more : Embraced by Blood Laurie London hosted by bewitching book tours. Giveaway! 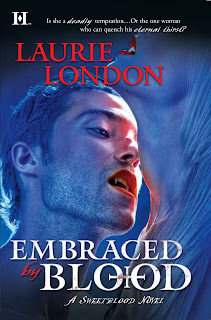 Embraced by Blood Laurie London hosted by bewitching book tours. Giveaway! I love these trading cards that have become all the rage. Thanks for the giveaway! Those look awesome! Thanks for the chance to win! I want to read this book and I love the trading cards! Please enter me in this awesome giveaway. I always enjoy learning about authors that are from my neck of the woods... and especially when the books are based in the area. Nice!!!!! I'd love a signed copy of the book and the cards. What an great giveaway. Looks like an awesome read. Thank you for the contest. oooh, I totally want trading cards! I'm in! I know those cards look awesome and the book was amazing, I love Alfonso my new favorite :). Wow, would love to read and win this awesome book. Thanks for the giveaway. Thanks for the giveaway! I would love to read Embraced by Blood! I've read both titles and really enjoy the series. Dominic and Alfonso are both entertaining reads. Oh, I see a McKenzie card in the pix but not all to well. The others are just the cover so I really want to see McKenzie's one by herself. Cool!! Loved the first book! Can't wait to read this one. Please enter me for it. Looks great. Lovin' these cards! Loved the first book. Thanks for hosting. Please enter me. I am an old follower. Thank you for inviting me to the post and giveaway today. This won sounds dandy! Embraced by Blood sounds like a great read, I'd love to win a copy. I've already got Bonded by Blood and I'd love to win a copy of Embraced by Blood. I so cannot wait to read this series! This i already on my tbr list. Winning it would be awesome. Just popping in to say hello to everyone. Thanks for your interest in the Sweetblood books. You guys are awesome. And thanks, Laurie, for hosting today! I love the cover! Thanks for the giveaway! book looks like a good one can't wait to read it! Laurie and Laurie =) Thanks for the giveaway. I'd love to win this book and signed...awesome! Please count me in and thanks again. Sounds like a really good book. And I love the cards. Thanks for sharing!! I love the first book and cannot wait to read this story. Thanks for the giveaway. I'm so glad to see your books are doing so great. Thank you for helping me with my Vampire Ball project. I wish you the very best in all your writing. This is the absolute best series in the world! I loved both Bonded and Hidden! I want to win this so bad!